***USB PORTS***, ***LOW MILES***, ***PLENTY OF POWER AND FUEL EFFIECIENT***, ***REMAINDER OF FACTORY WARRANTY***, ***CLEAN CARFAX***, ***ONE OWNER CARFAX***, **NO PRESSURE SALES STAFF**, 5.7 V8 HEMI, CREW CAB, NOT A RENTAL VEHICLE. Odometer is 1729 miles below market average! *Sales price includes $500-1,000 finance discount. You must finance with Ally Bank, Chrysler Capital or one of our Credit Unions to obtain the $500-1000 finance discount. Factory subsidized interest rate loans are not eligible. If you do not finance or lease, then you are not eligible for the $1000 finance discount and your sale price will increase by $500-1000. Internet price and payments subject to change at Dealer discretion. Check with dealer for most updated information. CARFAX One-Owner. To see more vehicles like this one right here just click on http://www.saltlakevalleychryslerdodgeramjeep.com/ or dial 801-484-8755. 2016 Ram 1500 Outdoorsman ***BACK UP CAMERA***, ***POWER DRIVER SEAT***, ***KEYLESS ENTRY***, ***ALLOY WHEELS***, ***LOW MILES***, ***TOW PACKAGE / TRAILER HITCH***, ***ONE OWNER CARFAX***, 115V Auxiliary Power Outlet, 32 Gallon Fuel Tank, 4-Wheel Disc Brakes, 6 Month Trial (Reg. Required), 6 Month Trial (Registration Required), 8.4" Touchscreen Display, ABS brakes, Accent Fender Flares, Anti-Spin Differential Rear Axle, Ash Tray Lamp, Auto-Dimming Exterior Mirrors, Black Door Handles, Black Exterior Mirrors, Body Color Grille, Brake assist, Bucket Seats, Charge Only Remote USB Port, Class IV Receiver Hitch, Delay-off headlights, Dual front impact airbags, Dual front side impact airbags, Electroluminescent Instrument Cluster, Electronic Stability Control, Exterior Mirrors Courtesy Lamps, Exterior Mirrors w/Heating Element, Exterior Mirrors w/Supplemental Signals, Fog Lamps, Folding Flat Load Floor Storage, For Details Visit DriveUconnect.com, Front & Rear Rubber Floor Mats, Front anti-roll bar, Front wheel independent suspension, Full Length Upgraded Floor Console, Fully automatic headlights, Glove Box Lamp, GPS Antenna Input, Integrated Voice Command w/Bluetooth, Leather Wrapped Steering Wheel, LED Bed Lighting, Low tire pressure warning, Luxury Group, Media Hub (SD, USB, AUX), Nav-Capable! See Dealer for Details, Occupant sensing airbag, Outdoorsman Badging, Outdoorsman Group, Overhead airbag, Overhead Console w/Garage Dr Opener, Panic alarm, ParkView Rear Back-Up Camera, Power 10-Way Driver Seat, Power Folding Mirrors, Power Heated Fold-Away Mirrors, Power Lumbar Adjust, Premium Cloth Bucket Seats, Protection Group, Quick Order Package 22T Outdoorsman, Radio: Uconnect 8.4, Rear 60/40 Split Folding Seat, Rear anti-roll bar, Rear Dome w/On/Off Switch Lamp, Rear Extra HD Shock Absorbers, Rear-View Auto-Dimming Mirror w/Microphone, Remote SD Card Slot, Remote Start & Security Alarm Group, Remote Start System, Security Alarm, SIRIUSXM Satellite Radio, Speed control, Steering Wheel Mounted Audio Controls, Sun Visors w/Illuminated Vanity Mirrors, Tow Hooks, Uconnect Access, Underhood Lamp, Universal Garage Door Opener. CARFAX One-Owner. To see more quality vehicles like this one right here just click www.guspaulos.com or dial 801-969-8221. ***BLUETOOTH WIRELESS / HANDS FREE***, ***USB PORTS***, ***ACTIVE BLIND SPOT MONITOR***, ***PARKING SENSORS***, ***PREMIUM SOUND***, ***BACK UP CAMERA***, ***INTERIOR EQUIPMENT POWER GROUP***, ***POWER DRIVER SEAT***, ***NON-SMOKER***, ***PUSH BUTTON IGNITION***, ***KEYLESS ENTRY***, ***REMOTE START***, ***HEATED FRONT SEATS***, ***PREMIUM WHEELS***, ***LOW MILES***, ***PLENTY OF POWER AND FUEL EFFIECIENT***, ***TOW PACKAGE / TRAILER HITCH***, ***REMAINDER OF FACTORY WARRANTY***, ***CLEAN CARFAX***, ***ONE OWNER CARFAX***, ***CERTIFIED***, **NO PRESSURE SALES STAFF**, *LOCAL TRADE IN*, 5.7 V8 HEMI, HEATED STEERING WHEEL, BACK UP SENSOR, CREW CAB, NOT A RENTAL VEHICLE. Odometer is 16276 miles below market average! *Sales price includes $500-1,000 finance discount. You must finance with Ally Bank, Chrysler Capital or one of our Credit Unions to obtain the $500-1000 finance discount. Factory subsidized interest rate loans are not eligible. If you do not finance or lease, then you are not eligible for the $1000 finance discount and your sale price will increase by $500-1000. Internet price and payments subject to change at Dealer discretion. Check with dealer for most updated information. CARFAX One-Owner. Clean CARFAX. Certified. FCA US Certified Pre-Owned Details: * Roadside Assistance * Transferable Warranty * Limited Warranty: 3 Month/3,000 Mile (whichever comes first) after new car warranty expires or from certified purchase date * Includes First Day Rental, Car Rental Allowance, and Trip Interruption Benefits * Powertrain Limited Warranty: 84 Month/100,000 Mile (whichever comes first) from original in-service date * 125 Point Inspection * Warranty Deductible: $100 * Vehicle History To see more vehicles like this one right here just click on http://www.saltlakevalleychryslerdodgeramjeep.com/ or dial 801-484-8755. ***INTERIOR EQUIPMENT POWER GROUP***, ***NON-SMOKER***, ***ALLOY WHEELS***, ***LOW MILES***, ***TOW PACKAGE / TRAILER HITCH***, ***REMAINDER OF FACTORY WARRANTY***, ***CLEAN CARFAX***, **NO PRESSURE SALES STAFF**, *LOCAL TRADE IN*, CREW CAB, NOT A RENTAL VEHICLE. Odometer is 7015 miles below market average! *Sales price includes $500-1,000 finance discount. You must finance with Ally Bank, Chrysler Capital or one of our Credit Unions to obtain the $500-1000 finance discount. Factory subsidized interest rate loans are not eligible. If you do not finance or lease, then you are not eligible for the $1000 finance discount and your sale price will increase by $500-1000. Internet price and payments subject to change at Dealer discretion. Check with dealer for most updated information. Clean CARFAX. To see more vehicles like this one right here just click on http://www.saltlakevalleychryslerdodgeramjeep.com/ or dial 801-484-8755. ***USB PORTS***, ***BACK UP CAMERA***, ***INTERIOR EQUIPMENT POWER GROUP***, ***POWER DRIVER SEAT***, ***NON-SMOKER***, ***LEATHER AND LOADED***, ***PUSH BUTTON IGNITION***, ***KEYLESS ENTRY***, ***REMOTE START***, ***HEATED FRONT SEATS***, ***PREMIUM WHEELS***, ***LOW MILES***, ***FUEL EFFIECIENT WITH PLENTY OF POWER***, ***TOW PACKAGE / TRAILER HITCH***, ***REMAINDER OF FACTORY WARRANTY***, ***CLEAN CARFAX***, ***CERTIFIED***, **NO PRESSURE SALES STAFF**, LEATHER INTERIOR, *LOCAL TRADE IN*, DIESEL MOTOR, HEATED STEERING WHEEL, CREW CAB, NOT A RENTAL VEHICLE. 19/27 City/Highway MPG *Sales price includes $500-1,000 finance discount. You must finance with Ally Bank, Chrysler Capital or one of our Credit Unions to obtain the $500-1000 finance discount. Factory subsidized interest rate loans are not eligible. If you do not finance or lease, then you are not eligible for the $1000 finance discount and your sale price will increase by $500-1000. Internet price and payments subject to change at Dealer discretion. Check with dealer for most updated information. Clean CARFAX. Certified. FCA US Certified Pre-Owned Details: * 125 Point Inspection * Transferable Warranty * Roadside Assistance * Includes First Day Rental, Car Rental Allowance, and Trip Interruption Benefits * Limited Warranty: 3 Month/3,000 Mile (whichever comes first) after new car warranty expires or from certified purchase date * Powertrain Limited Warranty: 84 Month/100,000 Mile (whichever comes first) from original in-service date * Warranty Deductible: $100 * Vehicle History To see more vehicles like this one right here just click on http://www.saltlakevalleychryslerdodgeramjeep.com/ or dial 801-484-8755. *** DIESEL ***. Odometer is 6476 miles below market average! Clean CARFAX. To see more quality vehicles like this one http://www.SLVBUICKGMC.com/ or dial 801-265-1511.. Sales Tax, Title, Registration, License Fee's and Dealer Documentary Fee's are additional to the advertised price. Any purchase negotiated with someone other than the Internet Sales Department will NOT be renegotiated after the sale. ***USB PORTS***, ***PARKING SENSORS***, ***BACK UP CAMERA***, ***INTERIOR EQUIPMENT POWER GROUP***, ***POWER DRIVER SEAT***, ***NON-SMOKER***, ***HEATED SEAT***, ***PREMIUM WHEELS***, ***LOW MILES***, ***PLENTY OF POWER AND FUEL EFFIECIENT***, ***TOW PACKAGE / TRAILER HITCH***, ***REMAINDER OF FACTORY WARRANTY***, ***CLEAN CARFAX***, ***ONE OWNER CARFAX***, **NO PRESSURE SALES STAFF**, DIESEL MOTOR, HEATED STEERING WHEEL, CREW CAB, NOT A RENTAL VEHICLE. 19/27 City/Highway MPG *Sales price includes $500-1,000 finance discount. You must finance with Ally Bank, Chrysler Capital or one of our Credit Unions to obtain the $500-1000 finance discount. Factory subsidized interest rate loans are not eligible. If you do not finance or lease, then you are not eligible for the $1000 finance discount and your sale price will increase by $500-1000. Internet price and payments subject to change at Dealer discretion. Check with dealer for most updated information. CARFAX One-Owner. Clean CARFAX. To see more vehicles like this one right here just click on http://www.saltlakevalleychryslerdodgeramjeep.com/ or dial 801-484-8755. Odometer is 31351 miles below market average! CARFAX One-Owner. To see more quality vehicles like this one http://www.SLVBUICKGMC.com/ or dial 801-265-1511.. Sales Tax, Title, Registration, License Fee's and Dealer Documentary Fee's are additional to the advertised price. Any purchase negotiated with someone other than the Internet Sales Department will NOT be renegotiated after the sale. ***BLUETOOTH WIRELESS / HANDS FREE***, ***USB PORTS***, ***NAVIGATION / GPS***, ***COLLISION WARNING SYSTEM***, ***PARKING SENSORS***, ***BACK UP CAMERA***, ***INTERIOR EQUIPMENT POWER GROUP***, ***POWER DRIVER SEAT***, ***POWER PASSENGER SEAT***, ***NON-SMOKER***, ***LEATHER AND LOADED***, ***PUSH BUTTON IGNITION***, ***KEYLESS ENTRY***, ***REMOTE START***, ***HEATED FRONT SEATS***, ***HEATED AND COOLED SEATING***, ***PREMIUM WHEELS***, ***TOW PACKAGE / TRAILER HITCH***, ***REMAINDER OF FACTORY WARRANTY***, ***CLEAN CARFAX***, ***ONE OWNER CARFAX***, ***CERTIFIED***, **NO PRESSURE SALES STAFF**, LEATHER INTERIOR, *LIFT KIT*, *LOCAL TRADE IN*, DIESEL MOTOR, *TOUCH SCREEN*, HEATED STEERING WHEEL, BACK UP SENSOR, NOT A RENTAL VEHICLE. *Sales price includes $500-1,000 finance discount. You must finance with Ally Bank, Chrysler Capital or one of our Credit Unions to obtain the $500-1000 finance discount. Factory subsidized interest rate loans are not eligible. If you do not finance or lease, then you are not eligible for the $1000 finance discount and your sale price will increase by $500-1000. Internet price and payments subject to change at Dealer discretion. Check with dealer for most updated information. CARFAX One-Owner. Certified. FCA US Certified Pre-Owned Details: * Vehicle History * Limited Warranty: 3 Month/3,000 Mile (whichever comes first) after new car warranty expires or from certified purchase date * Powertrain Limited Warranty: 84 Month/100,000 Mile (whichever comes first) from original in-service date * 125 Point Inspection * Warranty Deductible: $100 * Roadside Assistance * Transferable Warranty * Includes First Day Rental, Car Rental Allowance, and Trip Interruption Benefits To see more vehicles like this one right here just click on http://www.saltlakevalleychryslerdodgeramjeep.com/ or dial 801-484-8755. *Sales price includes $500-1,000 finance discount. You must finance with Ally Bank, Chrysler Capital or one of our Credit Unions to obtain the $500-1000 finance discount. Factory subsidized interest rate loans are not eligible. If you do not finance or lease, then you are not eligible for the $1000 finance discount and your sale price will increase by $500-1000. Internet price and payments subject to change at Dealer discretion. Check with dealer for most updated information. Clean CARFAX. To see more vehicles like this one right here just click on http://www.saltlakevalleychryslerdodgeramjeep.com/ or dial 801-484-8755. When you are trying to upgrade your wheels on a budget, shopping among used inventory can be a great option. Salt Lake Valley Chrysler Dodge Jeep Ram has a large selection of used cars, trucks and SUVs from a variety of makes, models and body types for you to choose from, and our sales staff will be happy to assist you in finding the vehicle that suits your particular needs. If it is a truck that you are after, there is no better place to look than the used Ram trucks on our lot. These durable vehicles can deliver durable performance, especially if you choose a certified pre-owned Ram truck. Our certified used-inventory undergoes extensive tests to ensure they meet a high standard of quality, so you can leave our dealership in a certified pre-owned Ram truck that promises long-lasting quality. Whether you want a Ram 1500, 2500 or 3500, you can find it at Salt Lake Valley Chrysler Dodge Jeep Ram! If your Ram truck ever does need maintenance or repair, you can trust our service team to give your car the care it needs. We use the latest equipment and OEM Ram parts so your vehicle runs at optimal performance. If you would prefer to take care of the repairs yourself, our parts department is stocked with a large selection of Chrysler, Dodge, Jeep and Ram components. 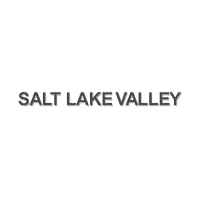 Simply put, if you live in Salt Lake City, Murray or West Valley City, Salt Lake Valley Chrysler Dodge Jeep Ram has everything you need to make your experience buying a used Ram truck from our dealership a great decision!